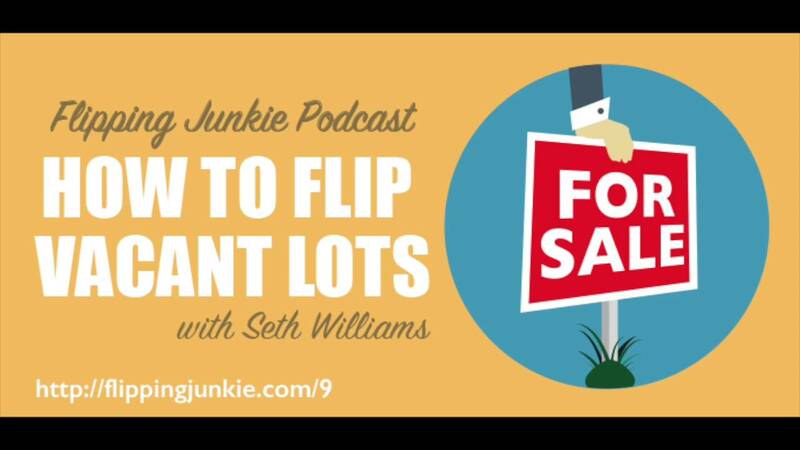 Seth Williams, from REItipster at http://retipster.com/, talks with us today about flipping vacant lots. Seth Williams is an experienced land investor, residential income property owner and commercial real estate banker. He is also the Founder of REtipster.com – a real estate investing blog providing real world guidance for part time real estate investors. This interview is packed full of interesting information about buying and selling vacant lots….and the really cool thing is that most of it relates to buying and selling houses. Find out how he builds a mailing list that typically gets better than a 10% response rate along with the exact message he puts on his postcards. Learn how he analyzes these deals so that he knows what he can offer and still make a great profit. Seth also shares how he is able to sell these lots for passive income and make even more money. There were several things that surprised me during the interview, like when he informed me that most people that buy lots from him aren’t going to build houses on them. Find out why, in today’s episode.